Can you really buy local food in the depths of a Manitoba winter? We put on our sleuthing hats and discovered that the answer is a resounding YES! Did you read our local food guide from the summer? While we featured a few year-round options, now we’re compiled a winter-only guide. We encourage you to do your own research and consider how these sources and retailers align with your priorities and values; this guide is just to get you started! Why not try to have a “100-mile” or local food holiday feast? Or give the gift of a CSA subscription to your favourite foodie friend? And don’t forget to compost your scraps when you’re done! If you buy seasonally/in bulk, some items may cost the same or less than at the grocery store! Name Location When is it on? Farm Fresh Food Hub 421 Mulvey (South Osborne Exchange) December 7, 3:30-7:30 p.m.
St. Norbert Farmer’s Market (winter edition) The Eagles Club, 3459 Pembina Highway December 3, 17, 31; January 14, 28; February 11, 25; March 11, 25; April 8, 22; May 6; 10 a.m. to 1 p.m. Downtown Farmer’s Market Manitoba Hydro Place, 360 Portage Ave December 1st and December 15th, 10 a.m. to 3 p.m.
West Broadway Community Organization Good Food Club MiniMarket Gymnasium inside Broadway Neighbourhood Centre, 185 Young Street. Every second Wednesday, October 26 to mid-June, 3-6 p.m.
(some local, mostly organic) 2-230 Osborne Street Offers bakery, deli (meats and premade food items), produce, vegan items, full range of dairy and non-dairy products, dry goods, pet foods, household cleaners, some books/magazines, snacks, and more. (some local, all organic, some direct and fair trade) 167 Lilac St. Some local and/or organic food, also carries fair trade type clothing, blankets, household goods, cleaning supplies. Children’s toys, as well as beauty supplies. also: Schriemers Market Centre Features quality produce, much of it organic, and local when possible and in season. St. Vital Market 1633 St. Mary’s Road A grocery store providing local and non-location options, but working with several local vendors, including for meat, produce, baked goods, and dry goods/grocery. Organic Planet Worker Co-op 877 Westminster Ave Tries to source from local producers and other co-ops. Lots of organic options. Also has home and body care, and a deli and coffee. The Forks Market Bread, baking, local organic cold-pressed sunflower oil, and other food products sourced as locally as possible. Monthly online orders and deliveries to set points within the city. Products include meats, honey, grains, vegetables and fruit, and a couple of non-food items. Offers weekly free delivery (on purchases over $80) of local, healthy, affordable food. This one goes beyond food, including pet-related, home care, and health and beauty products beyond the standard produce, bakery, dairy, beverage, and meat categories. Open 24/7/365 (except for bakery). Pay online, or cash on delivery. 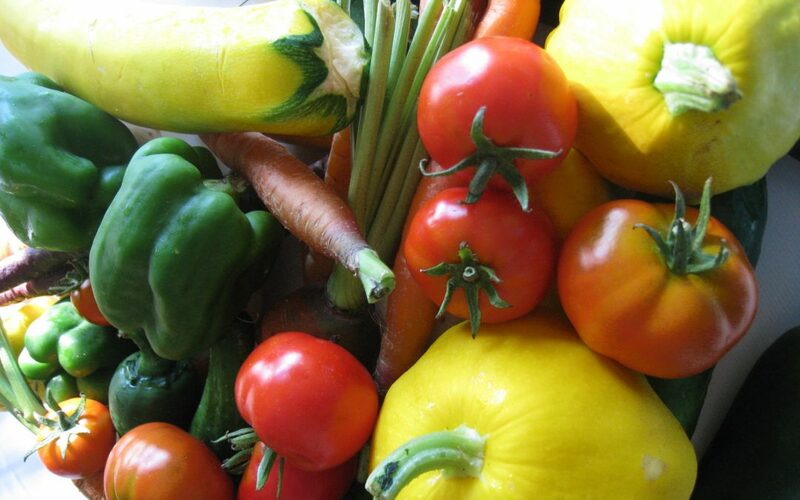 Organic food, with an effort to support local growers. Similar to My Farmer’s Market but with a set of “box subscription” type options as well. Either sign up for produce to your home or place, knowing you can modify the basket and add on extra groceries free of additional delivery charge; or just order your groceries without a subscription. 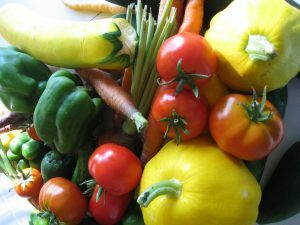 There are a few CSAs which offer protein shares (meat only, or meat/produce mix) that are available through the winter. It may be too late for this year for most, but think about it for next year! Crampton’s Market and Food Ethos Farm both have winter food options available and if you look around you may find others! Also don’t forget, many CSAs start signing up subscribers for Summer 2017 while it’s still winter to help with purchasing and planning. 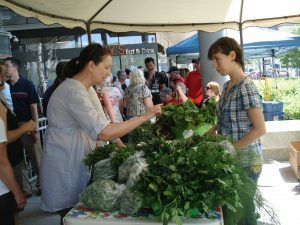 Giving the gift of a CSA that will bear fruit all summer could be a popular gift this Christmas! Find small farms, local food, and food skills workshops throughout Manitoba. Plenty of these have farmgate or even online and delivery sales available through winter! Your main offerings this time of year will be preserves, eggs, and frozen meats. Products made from Manitoba cows, made at the UofM, and available through multiple local retailers as listed on their website. Looking for fair trade products? These aren’t produced locally but if you want tea, coffee, chocolate, citrus, flowers, or spices, you’ll need to go with imported in most cases. Fair trade standards ensure environmental and labour standards are met, help ensure fair wages are paid to the workers, and gives money back to be reinvested into the community. Do you know any other resources that we forgot to include but should? Comment below or get in touch at Teresa@greenactioncentre.ca.